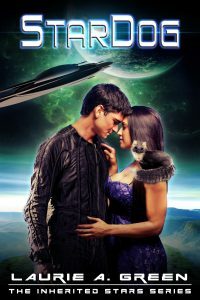 Introduced as a short story in the very popular Pets in Space anthology, a two-time 2016 SFR Galaxy Award winner also named by LibraryJournal.com as one of the “Best Books of 2016,” StarDog will return in novel length with many new and expanded scenes. Navigator Taro Shall’s captain assigns him an unexpected mission–find a way to eradicate deadly vipers that have infested starship Calypso. He never expects to find the solution to his problem in the hands of Adini, a charming street vendor. But the bio-engineered StarDog he acquires turns out to be a galactic hot potato, and both Taro and Adini are soon fugitives on the run. Adini Kemm can’t deny her fascination for the honor-bound navigator, though his past and her present seem to null any chance of a shared future. Until her father’s capture as a spy catapults both her and Taro into a desperate bid to save him…and straight into the clutches of a brewing insurrection.